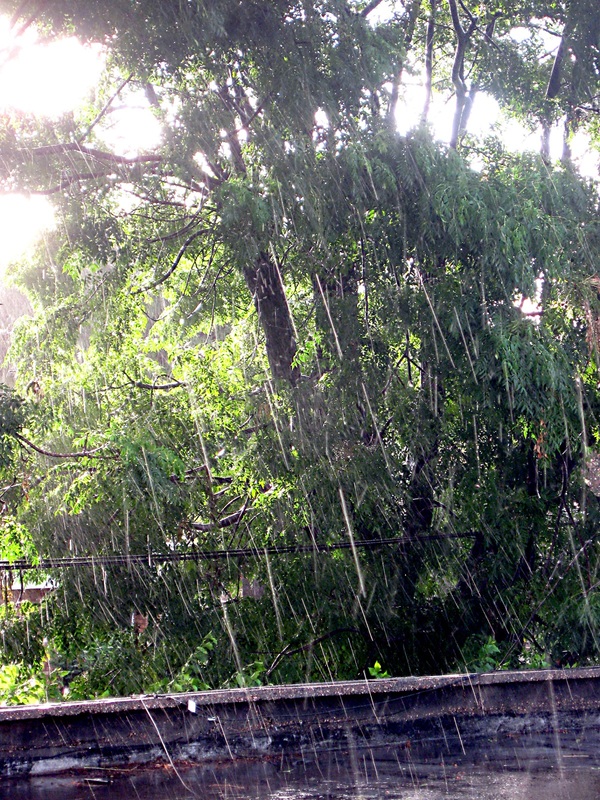 With El Nino already impacting San Diego weather, rain showers, storms and high winds increase the risk of broken tree limbs. Whether a loud crash wakes you during a stormy night or you simply see the aftermath, a broken or fallen tree limb is a problem you can’t ignore (especially if it’s in your driveway, on top of your car or worse…on top of your neighbor’s car). Survey the damage from afar. DO NOT go near the tree until you’ve ensured there are no fallen power lines in the area. Also, DO NOT walk under the tree unless you are sure there are no other broken limbs that may potentially fall. A hanging tree limb may seem small when viewed from the ground, but even a modest size branch falling 15-20’ can cause serious bodily harm. If the tree and limbs are smaller and the damage is minimal, you may be able to remove the branches yourself, however use caution. If a small branch has broken, trim the branch back to the point where it joins the larger branch. This will reduce the risk of decay, pests or disease. This can be done with a handsaw or small chainsaw. 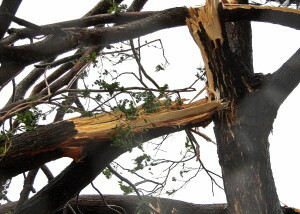 If a large or potentially dangerous limb is broken and hanging, call a professional tree service company immediately. It can be extremely dangerous to attempt to remove large or precarious branches on your own. Larger broken branches will likely need to be trimmed back to the trunk. 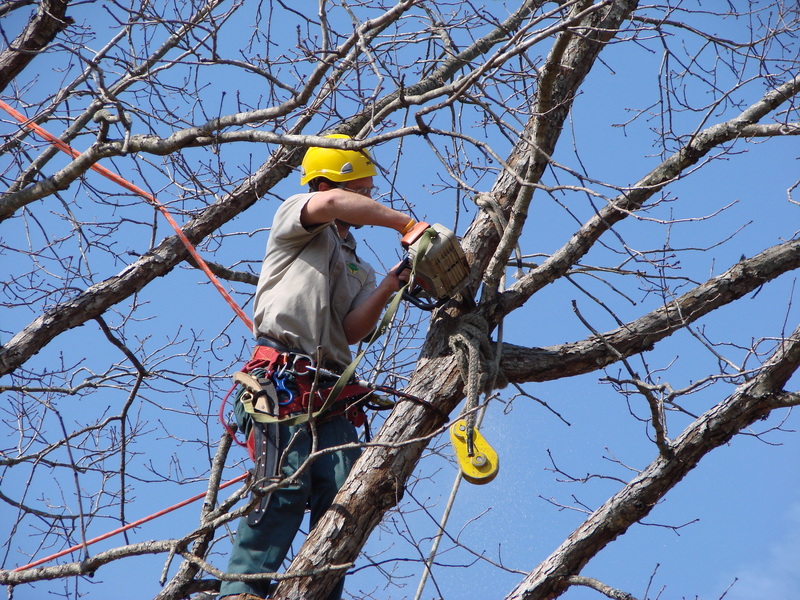 Professional tree service companies are equipped, trained and experienced in safely removing broken tree limbs in a way that minimizes risk and preserves the health of the tree. Once all safety and health risks have been mitigated, you may be concerned about the aesthetics of your tree. While your tree may look a bit bare at first with missing branches, the tree will grow and the canopy will fill back in as it has time to heal. Otherwise healthy trees have amazing ability to heal and recover after suffering broken limbs. When heavy rains and high winds hit this winter and your trees suffer broken limbs, call us for a Free Consultation and Estimate. 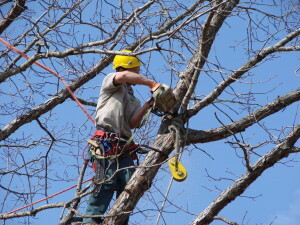 Our team of professional tree care workers are trained, experienced and equipped to handle all your tree care needs.